I will not be insulting the elements this weekend. 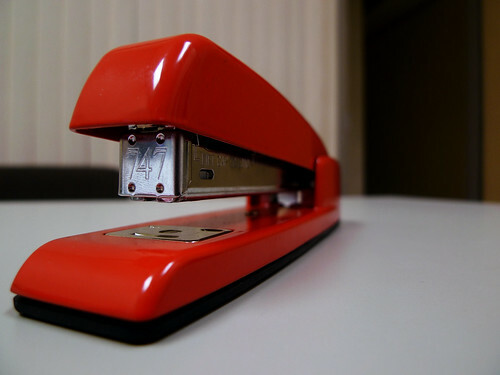 Here is my stapler. Wait, there has been an error. Hold on. The stapler was a gift from Schmutzie. The rest of the office envies me my stapler. 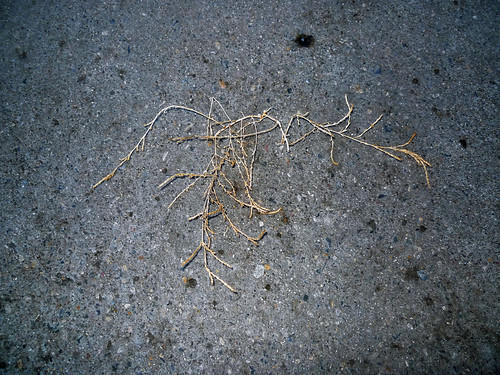 No one envies the dead dry weed on the street. It is pitied by all.